Rotational grazing gives pastures a rest compared to grazing them continuously. You can rotate cattle between pastures as often as once a day to as little as once a month. Either way, rotational grazing can help ensure quality and quantity of forage throughout the summer. Simply splitting a pasture in half can help. Just like you need to look at cattle requirements each winter and determine if you need to supplement, the same holds true for soil. Work with an agronomist to test your soil. Test results will tell you if you need to fertilize to combat caps in soil fertility. Remember soil fertility will impact not only forage quantity but will influence quality – especially protein. What your cattle eat is a direct result of soil fertility. There’s no “right” time to harvest. Harvest typically occurs when there’s a happy medium of quantity to match quality. Time harvest to match the quality of forage desired. Keep in mind that as forages mature digestibility and protein tend to drop. Also look at ways to minimize leaf loss and consider the use of a preservation to help with storage. As you get into July and August, forages mature and pasture quality declines. You may need to supplement to meet cattle requirements. Supplementation is especially vital in spring-calving herds with cows still lactating. Don’t overlook calves; as pasture quality declines, consider offering calves supplemental creep feed. 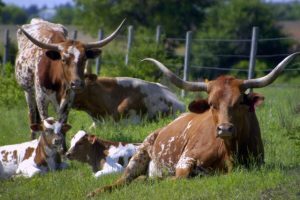 This entry was posted on Tuesday, July 17th, 2018 at 7:14 pm	and is filed under articles, Cattle, News & Updates. You can follow any responses to this entry through the RSS 2.0 feed. Responses are currently closed, but you can trackback from your own site.